Hey guys! I have one last Mama Elephant stamp highlight for you this week:) You know you can't have a Mama Elephant release without a cool sentiment set! Especially one with Kryssi's handwriting:) For my card, I used one of the awesome sentiments from Everyday Greetings on a background of sunshine (a la Sunny Skies). For the rolling hills, I used one of my Landscape Die trio dies. Behind the green hills, I tucked in a sun that I created using acetate, sequins, and glitter! To make the sun, I die cut a circle from acetate and folded it in half. I filled it with sequins and my favorite hexagon glitter and machine-stitched it around the edges. Here's a tip for sewing paper, especially slippery paper like acetate, on the sewing machine. Put a piece of plain tissue paper under your project. This allows the feed dogs (you know those nubby things that pull fabric through the machine) to grip your project. When you're done, you can just pull away the tissue paper. 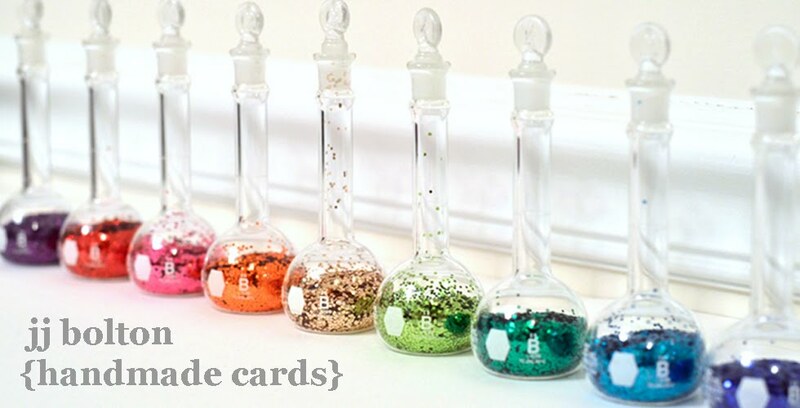 I promise this will make sewing your cards MUCH easier! Thanks for stopping in all week! I hope you found something you can't live without, heehee;) Don't forget to check out what the rest of the DT has in store for this fabulous set! 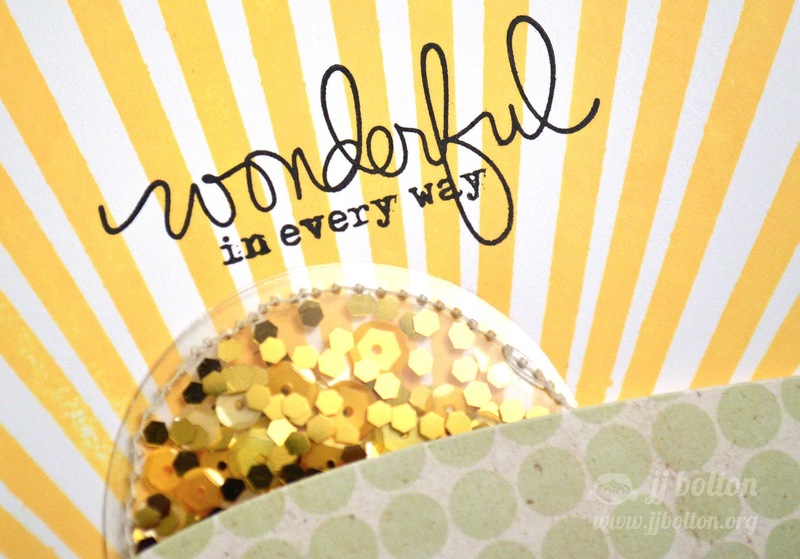 The perfect sentiment for your 'Ray of Sunshine'! I love how you added the acetate, sequins, and glitter to create your sun, too! Thanks so much for the tip for sewing on cards! The is so good and love the way you made the sun, amazing!! That glittery sun is a perfection, I love that idea. So inspiring !! This card is WONDERFUL! I love the glittery bits!